A bit of Michigan on the plate tonight! Half of my family hails from the Lake Michigan coast of Michigan’s Upper Peninsula. Both sides of my dad’s family had long history up there, mainly on islands of both Lake Michigan and Lake Huron as they were all fisherfolk if they weren’t lumberjacks. This is knowledge that comes to me, incidentally, from my own genealogical research and not family yore: Dad wanted nothing to do with his family and died when I was 13, so all tales and secrets and recipes died with him. Suffice it to say I have since filled in a lot of blanks, and I would hope that at least one or two of my ancestors had a recipe for pasty up their sleeves. If not they, then loads of other Yoopers know how to make them. These are basically meat-and potato-filled turnovers. The typical recipe includes rutabagas, and so I did as well; carrots, celery, onion…no other spices other than salt/pepper is customary but, well, I adore my spices and so added a few. Supposedly these lunchbox pastries hail from the Cornwall-born coal- and copper miners who worked the U.P.’s northwestern mines in the late 19th century. Now you cannot drive 30 miles on any major road in the whole peninsula without hitting a tourist-y eatery that sells PASTIES (all caps always). Pasties (crust: home-ground hard red spring berries from Ferris Organics; lard and bacon grease from Creswick Farms; ground beef from the Pekel farm in Shelbyville; chopped side pork from Creswick Farms; Carola potatoes, Atomic Red carrots, Laurentian rutabaga, Clear Dawn onion, Golden Self-Blanching celery, sage/thyme/savory/parsley from greenhouses; salt, pepper. I’m going to make some for supper. I do love my PASTIES! I make them with a suet crust, which is crackling hard and very flavorful. Haven’t made them in years, though they’re never far from my mind. Too funny, we eat these in Colombia, although the dough is corn based, kind of like a really thick corn tortilla (only better, it’s precooked corn flour). We call them empanadas. We’ve been enjoying these filled with spicy venison mixed with rice. MMMMM. The corn flour however isn’t really local. I do have my dad bring it up for me from Colombia when he comes, so it’s local to him (does that count?). I love everything in turnovers. They’re just such work. I like them with curried potatoes and lamb, or calzone with sausage and kale, or spinach and feta. . . anything, really. And then any leftover pastry with berries inside. We love them!! I think most Michiganders love them! We have a Cornish-settled town near here too that sells a lot of pasties. Ever do an internet search for recipes? They generate the most contentious comments about authenticity! It’s not as if every miner’s wife probably made them a little differently…and I bet they varied to use up leftovers a lot of the time too. I once had a pasty in a so-called English pub (state-side) that was covered in brown gravy. They also served it with a splat of Colcannon mash, which I’d never heard of before, much less tasted it. Not exactly tidy for a lunch pail, but man! was it good! I did an internet search for crust a few weeks back because I remember eating this as a kid on vacation. My stepdad’s mom was very particular about the weather when she made them and very proud of them. I saw a lot of recipes for a yeast based dough but that didn’t seem right. Is this basically a pie crust? There was everything you can imagine online but that doesn’t give me the true local lore. Sharon, with all your access to lamb and such, these could be right up your alley. I agree the suet or lard/bacon grease combo might make a tough crust (mine were) but that hardly detracts from the experience. I think there’s something about the crust:filling ratio that is just so “right.” Hope you make them soon. Susy, isn’t it funny? Sara of a few comments below yours and I have often marveled at the universality of “good food ideas” ergo the turnover in its many forms (dim sum, empanadas, samosas, pasty, etc.) and I am all about good food ideas, especially when they’re fun to make too. I think it would be wonderful if your dad’s package can make it through customs! Now Stefani this is where you get multiple children involved and dole out tasks accordingly. Assembly-line style, they’re put together in no time flat. And most recipes work in quantities that would completely suit your family, as it is, ours is eating these things for DAYS and I even gave a couple away! But I like the kale/chorizo idea, mmm. Grandmabecker, indeed! Even my Detroit husband enjoys them, though he said he always picked around the rutabagas eating them as a kid. I wouldn’t let him do that though in front of our girl so he had to suffer through them! Sara, yeah, I have. I think it’s quite funny, the contention. But think about what your average miner’s wife had access to in the U.P., year-round: potatoes, rutabagas, carrots, meat, flour, lard. Salt and pepper. 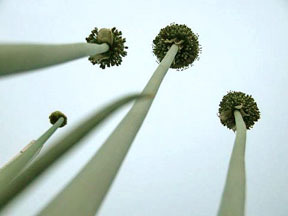 So things like my celery are a spurious recent addition. Frankly I don’t think you can go far wrong with whatever you put in them, but that could just be me the bread-fiend crust eater talking. Paula that sounds positively decadent. I would skip the brown gravy but colcannon and bubble and squeak are two ur-dishes from my childhood…and reason enough I don’t eat a lot of cabbage to this day. There is something so very…I don’t know, unifying…about covering something in gravy. It IS one of the ways I am able to make food disappear in this house. Hiya SE. Yeah, no yeast needed; it’s basically a pie crust, so…let’s say 1:3 ratio of fat:flour. I do know crusts intimidate the heck out of people and it’s a pity: slap a crust on something and it will magically get eaten. I would imagine your stepdad’s mom was worried about the fat (butter or lard) melting if it was hot, so the weather would be a concern: the colder the fat, the flakier the crust (in theory anyway). Hope that helps, but…give it a go! Cool! We’re making these at our April Preserving Traditions workshop. And a note for all you out-of-staters: that’s pronounced PASS-tee and there’s no need to giggle when we reminisce about how awesome our moms’ were! Oh, yum. I spent a pre-college year in England where my Cornish boyfriend introduced me to Cornwall and The Pasty. 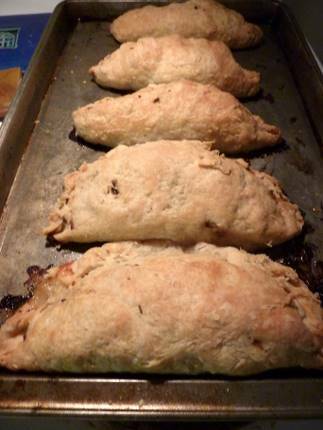 Twenty years later, I make pasties throughout the winter for my four children and (not Cornish) husband. Rutabega, yes (we called em ‘swedes’), onion, meat, potato, and a dash of Worcestershire, salt, pepper, and flour. Sometimes carrot but usually not. Good times. Forgot to mention that the story in Cornwall is that most of the pasty would be the meat/swede/potato (never encountered celery!) and then there would be a wall in the dough and the rest would have a fruit filling… the miner would eat his way to dessert. I never had one like that; think the onion would “travel” a little much. I met my husband because of my love for pasties in the UP! And i am all about ww. Hi Mary! I confess I didn’t use much of a recipe: the ones I had googled all said about the same thing, mainly, 1# each chopped (or ground) beef and pork; about 1 cup each of diced onion, carrot, rutabaga, potatoes, salt and pepper being the spices. Wrapped in a pie crust dough, divided accordingly to fit all the above (and it’s a lot, we ate pasties for days). Baked for 45 minutes at 375 or so. (The pastry dough: 3 cups flour, about the equivalent of 1 1/2 sticks of butter, salt.) *I* added lots of thyme, sage, parsley and savory, and a couple of pinches of curry and paprika. Good stuff! Hooray for pasties! I’m a slingshot away from the U.P., and I still prefer homemade over any I’ve bought (especially using my own fresh veggies).